A record that comes steeped in history – for all the right reasons – fusing the smouldering electronic sounds of 1984 alongside Walter Gibbon’s production prowess. 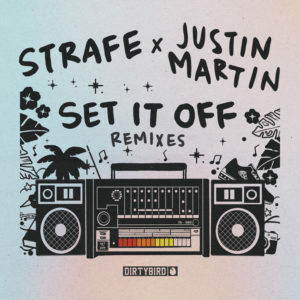 Justin Martin now receives the honour of an official remix of this timeless classic. Unlike a simplistic re-edit that safely reimagines nostalgia this Remix links the past with today in a blaze of confident excellence. The beats remain firmly planted in Electro, pulsing funkily as they do, while the synths now contain that contemporary edge updating the number in wild style. Next, the Party Starter version plays with the future and an altogether different reworking Set It Off for the 21st century – where we all belong. PS great Artwork from Nico Salazar too.